Gaby Borromeo sings ‘Happy’ on The Voice Season 12 Blind Auditions Episode on Monday, March 6, 2017. “I think you can win the voice with no problem. You’re unbelievable and you belong to my team,” said Adam Levine. “You’re a killer,” said Alicia Keys. “You have such personality and gorgeous voice,” said Gwen Stefani. That was an incredible performance. You sounds like when you when you are smiling. you can probably win this thing,” said Blake Shelton. Gaby Borromeo picks Team Adam. Watch her performance on the video below. 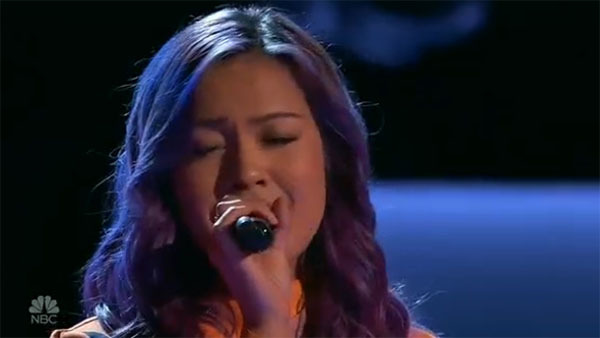 What can you say about Taylor Alexander’s blind audition? Share your thoughts on the discussion box below.